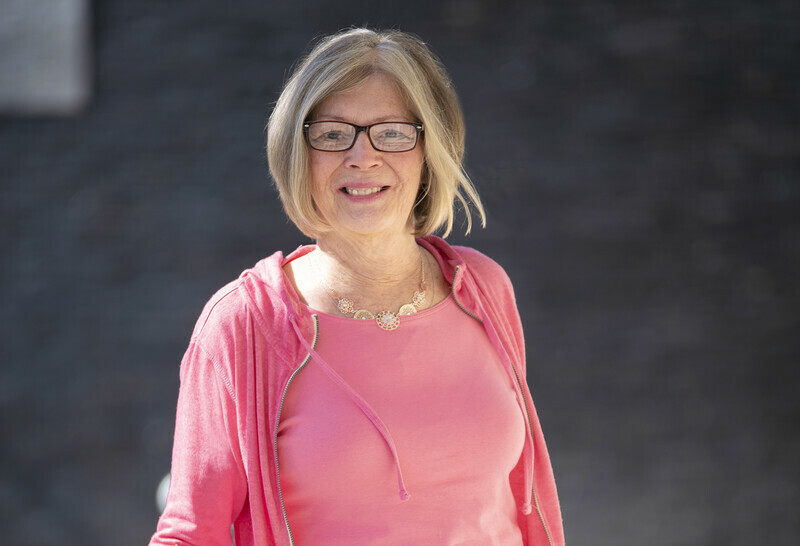 Patty Conklin thought her hip pain was a way of life, until orthopedists at Syosset Hospital performed a novel hip reconstruction to fix a congenital defect. Patty Conklin isn’t one to complain. It could be that her no-nonsense outlook took root early in her life. Months after she was born, doctors realized she had a congenital defect in her left hip that caused pain and a discrepancy in the lengths of her legs. While Ms. Conklin couldn’t control what she was born with, she could make the best of it, and she did. This inspiring story appeared in Look North, a health and wellness magazine from Syosset Hospital. I’m walking around now and I have no pain, absolutely no pain!. You have to see the X-rays to believe it. Dr. Krauss did a fabulous job! Ms. Conklin didn’t let her leg discrepancy hold her back. She did want to treat it, but she never got the medical answers she had hoped for. This year, Ms. Conklin met Eugene Krauss, MD, orthopedic surgeon and director of orthopedic surgery at Syosset Hospital, and everything changed. For more health and wellness news, subscribe to any Northwell magazine for free. There’s no obligation, and you can opt out at any time. As a result of the hip joint not developing as a round ball and a socket, the leg was shorter by almost two inches, and the cartilage that provides a cushion between the two bones gets ground away, which results in a painful, bone-on-bone joint. Motion becomes limited and painful, along with a lurching, painful gait. Today, this condition is extremely rare, since all infants are checked at birth. If they are found to have a congenital dislocated hip, they are treated in the early weeks by swaddling them and keeping the legs spread. This causes the socket to develop and deepen in their first months of development. Ms. Conklin had rehabilitation following her surgery and continued with physical therapy a few times a week. Only a month after surgery, her quality of life had changed. To make an appointment to discuss joint replacement and reconstruction with Eugene Krauss, please call (516) 622-7910.